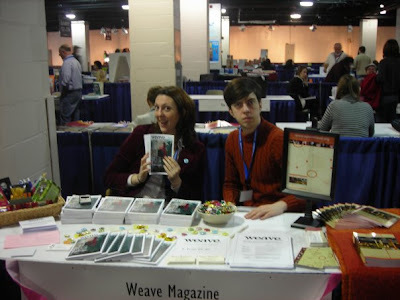 Weave Magazine had a fantastic time this year in Chicago at the AWP Conference. We are so glad we got to meet some of our fantastic contributors for issue 01 as well as issue 02 (contributor list for 02 will be posted soon!). 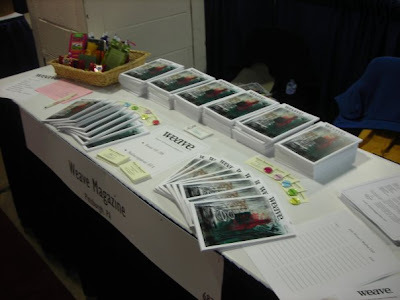 It was a whirlwind three days at the book fair but we thoroughly enjoyed talking to potential contributors and other folks interested in what we do at Weave. It was great to meet people from Pittsburgh who had not yet heard of us - we do hope you'll be around at some of the events in the future. Here are some great photos to document our visit to the Windy City. Our lovely table. We have to admit, we love our cover and think it really draws people over to the table. Thanks Heidi! Here is Laura with Adam from Open Thread, who shared our table with us on Thursday and Friday. 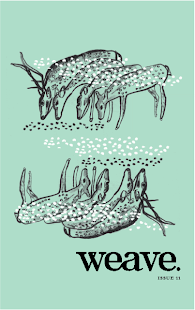 You should definitely check out their fantastic regional anthology. Incredible. Margaret sits with Flats and Riots author Michelle Stoner for her book signing. We were so lucky to have her at our table. 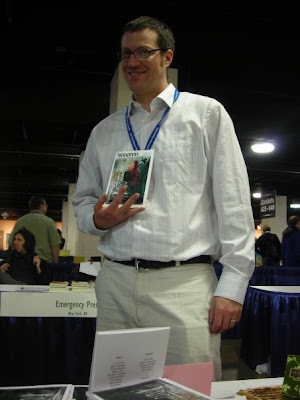 Weave Magazine contributor Jay Robinson poses with a copy of issue 01. 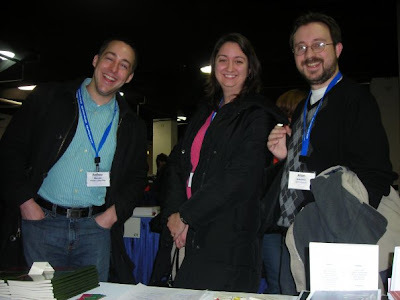 On the left, Issue 02 contributor Andrew Mulvania along with other rather friendly folks who visited the Weave Magazine book fair table. 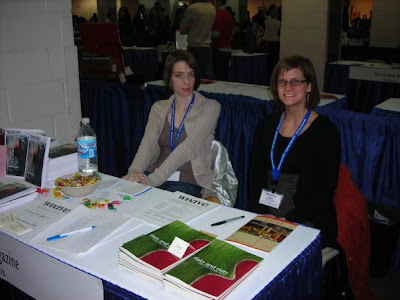 Finally, your Weave co-editors, Laura and Margaret who feel so very lucky to have an AWP book fair table. Many thanks to the Sprout Fund for making it all possible.